Aiken,SC--A celebration of life service for Mr. Carrol Geddings Heath, age 85 will be held 3:00 pm Thursday February 14, 2019 at Cole Funeral Home Chapel with Rev. Jack Adkinson officiating. Interment will follow in Chime Bell Baptist Church Cemetery with full law enforcement honors conducted by the Aiken County Sheriff's Office Ceremonial Team. Mr. Heath entered into rest Saturday February 9, 2019 peacefully at his residence. He was a native and a life long resident of Aiken County and was the beloved husband of 51 years to the late Mrs. Harriett Folsom Heath and a son of the late Mr. Geddings Heath and the late Mrs. Sarah Lowe Heath. Mr. Heath began his career in law enforcement in 1961 at Lake Helen, GA. He joined the Aiken Department of Public Safety in 1966 as a patrolman and worked his way up to Chief of Detectives which he held that position for 10 years. He was a graduate of USC-Aiken, the National Crime Prevention Institute, and the FBI National Academy. He took additional courses at Florida State University, the University of Georgia in drug studies, the University of Miami School of Medicine, department of psychiatry, regional drug education, training and resources center in the division of addiction sciences. Mr. Heath was a certified instructor of crime prevention at Aiken Technical Collage. Mr. Heath was a veteran of the Korean Conflict having served in the U.S. Navy. 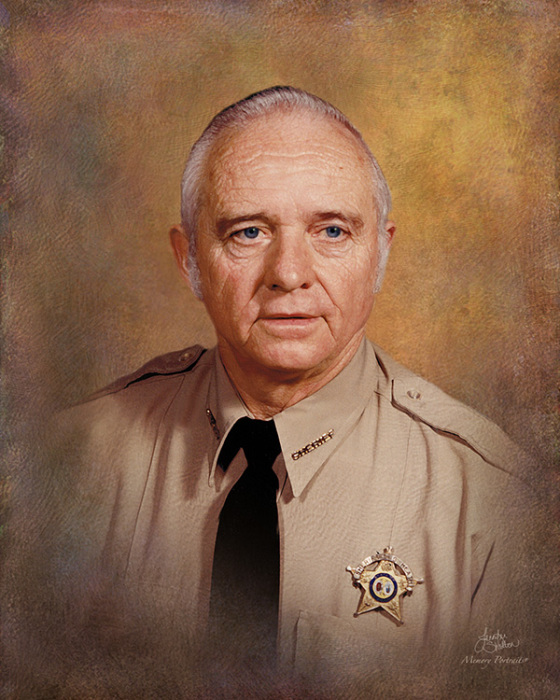 In 1984 he was elected Sheriff of Aiken County and served Aiken County for two four year terms before retiring. He was a member of the Aiken Masonic Lodge # 156 AFM, a Shiner of the Jamil Temple in Columbia, SC, and a member of Chime Bell Baptist Church, Aiken, SC. Survivors include three sons, Steven (Linda) Heath, New Ellenton, Kip Heath, Florida, Michael (Becky) Heath, Aiken; three daughters, Vickie Starks, Aiken, Melody (Morris) Holland, Florida, Susan (Alan) Schweter, Brook Park, OH, Tonya (Terry) Volk, Aiken, and Misty (Jeff) Hall, Aiken; seventeen grandchildren, twenty seven great grandchildren, and three great great grandchildren. Mr. Heath was predeceased by three sons, Anthony C. Heath, Robin Dykes, and Timmy Heath, two brothers, Harold and Philip Heath, one granddaughter, Megan Milam. Serving as pallbearers will be the Aiken County Sheriff's Office. The family will be receiving friends 6-8 pm Wednesday February 13, 2019 at COLE FUNERAL HOME 1544 UNIVERSITY PARKWAY (118 BY PASS) AIKEN, SC, 29801. 803-648-7175. Please sign the online registry at www.colefuneralhomeinc.com.